North Korea has returned the remains of an American soldier missing since the Korean War to his family in California. Army Cpl. Robert V. Witt of Bellflower was believed captured when his unit was attacked by Chinese forces in late November 1950, the Long Beach Press-Telegram reports. Fellow troops later repatriated to the US said Robert Witt died from malnutrition in January 1951. The US lists more than 8,000 soldiers as missing in the Korean War. Robert Witt’s remains were found, along with those of other soldiers, in a joint US-North Korea excavation in North Korea in 2000. However, it took many years since for them to be conclusively identified. They have now been returned to his sister, 82-year-old Laverne Minnick. Robert Witt, 20-years-old when he went missing, will be buried with full military honors in Rose Hills Memorial Park in Los Angeles on October 30. 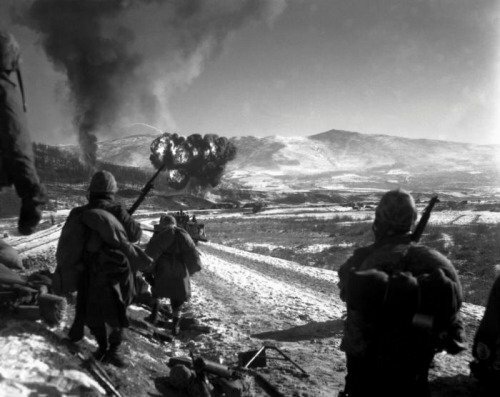 The Battle of Chosin Reservoir, during which he went missing, was part of a Chinese offensive early in the Korean War that succeeded in driving US and other UN forces out of north eastern Korea. The Korean War lasted from June 1950 until July 1953 and pitted the US and its allies against the USSR, North Korea and communist China. At least two million Korean civilians, up to 1.5 million communist forces, and around 30,000 American, 400,000 South Korean and 1,000 UK troops are believed to have died. A peace treaty has never been signed and the two Koreas would remain technically at war.